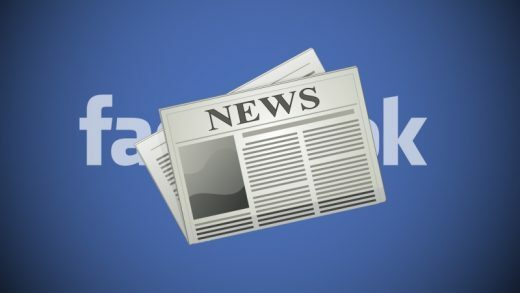 Facebook is removing its Trending news topic section starting next week, along with products and third-party integrations that rely on the Trends API. According to Facebook’s research, people found it to be less useful over time — and the company said that content in the Trending topics section accounted for fewer than 1.5 percent of clicks to news publishers on average. “We’ve seen that the way people consume news on Facebook is changing to be primarily on mobile and increasingly through news video. So we’re exploring new ways to help people stay informed about timely, breaking news that matters to them, while making sure the news they see on Facebook is from trustworthy and quality sources,” writes Facebook’s head of news products, Alex Hardiman, on Facebook’s news blog. The site says it is exploring new ways to surface news to users, referencing the “Breaking News” label for news headlines, and says it is testing a “Today In” section that would pull the latest breaking news from local publishers, officials and organizations. Facebook’s Trending section, launched in 2014, was designed to surface relevant news content from across the platform. In 2016, the site was accused of curating politically biased news, which resulted in Facebook altering the way news appeared in the Trending topics section — removing story descriptions to show only the headline and number of mentions.